A great shot of the old style B.B.C. 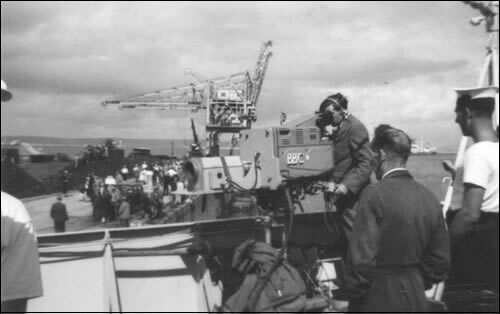 cameras, filming the arrival of USS Nautilus in Portland harbour in 1958. Photo sent in by © William Marsh.